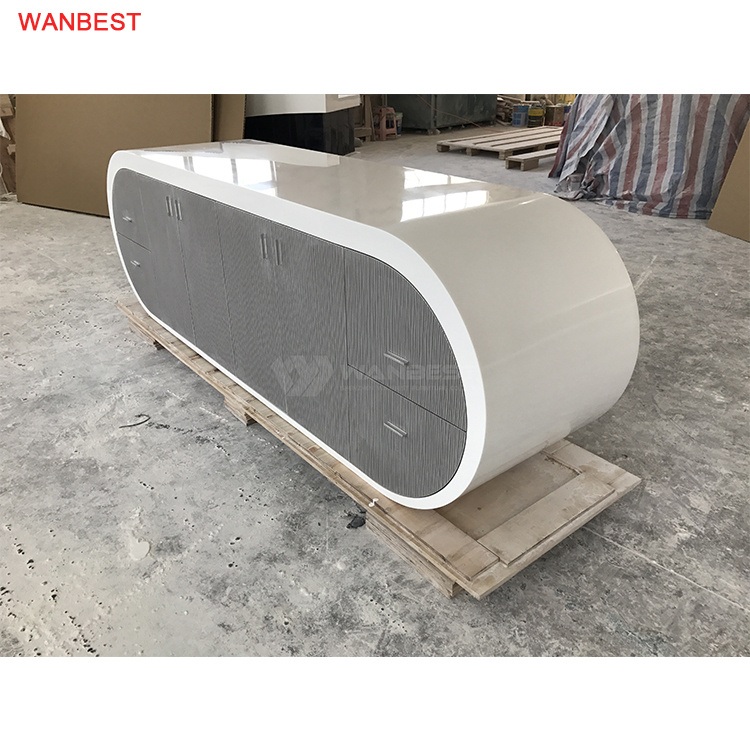 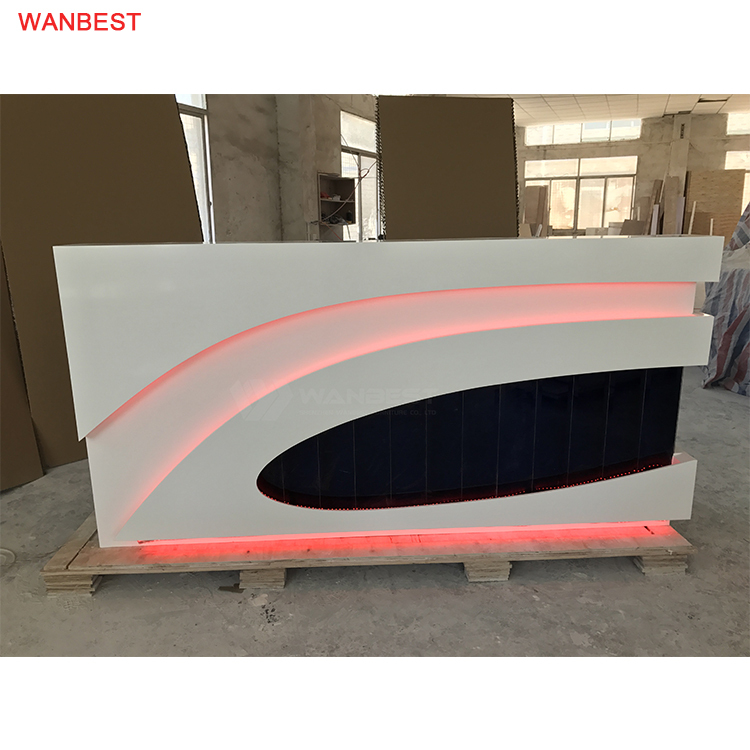 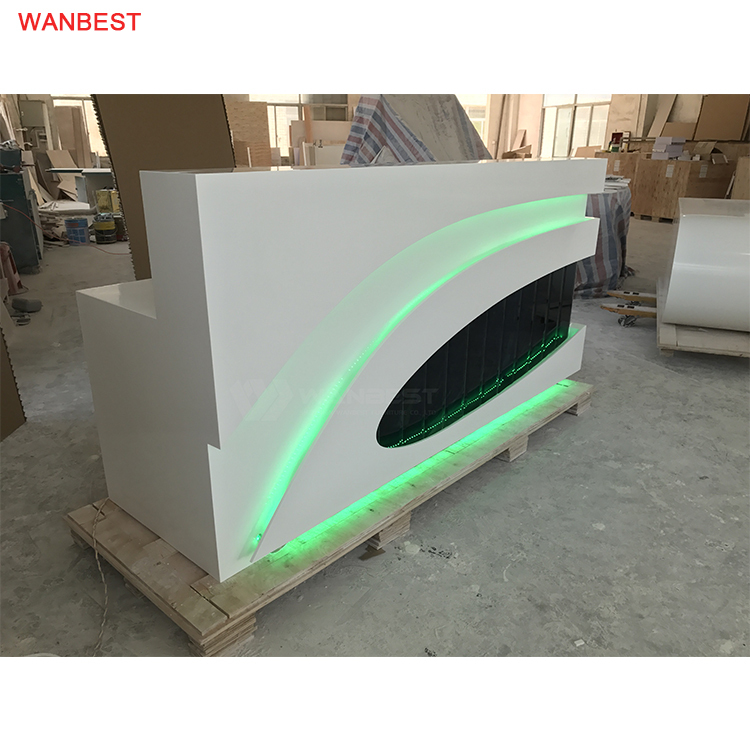 The LED of reception desk is RGB light, there are many color you can choose. 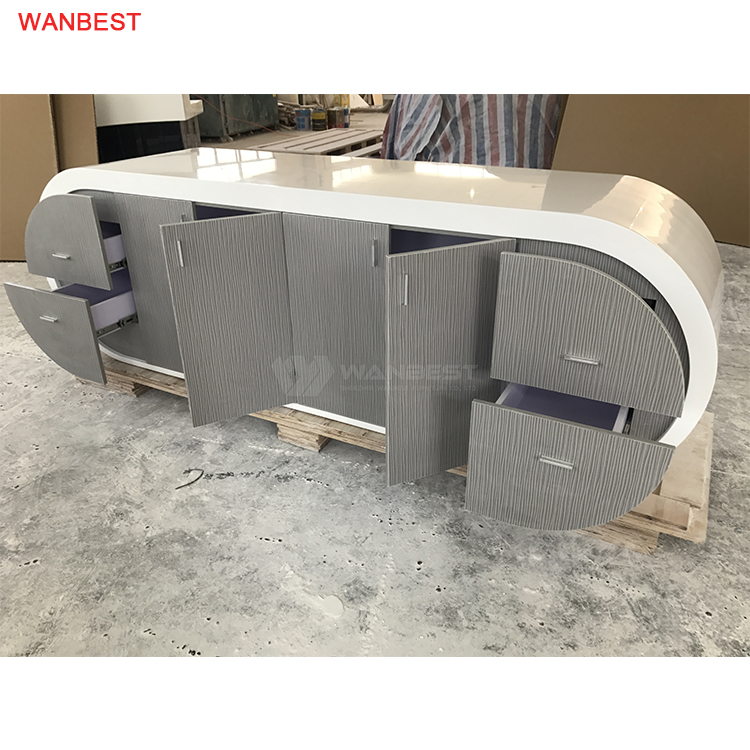 The design of Z shape office desk is very simple and generous. 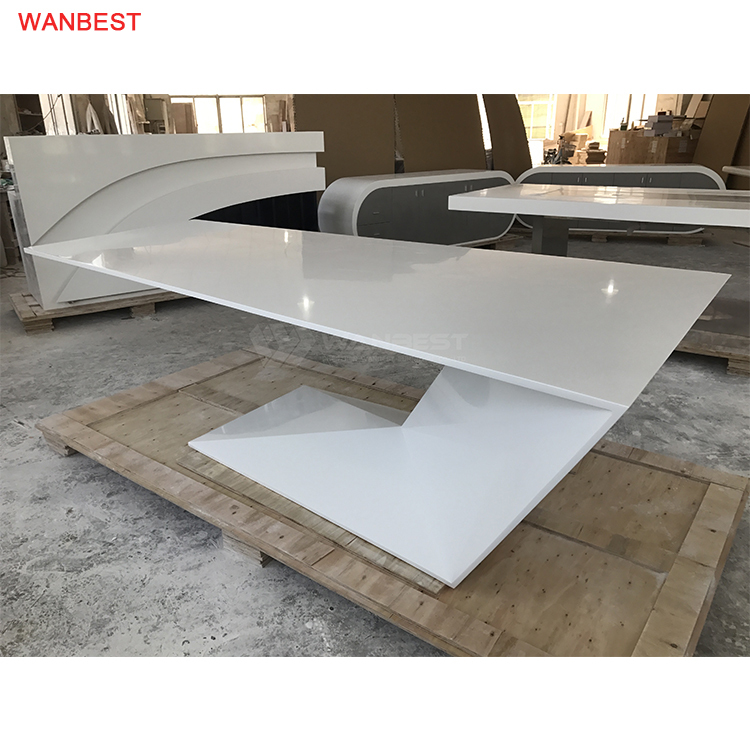 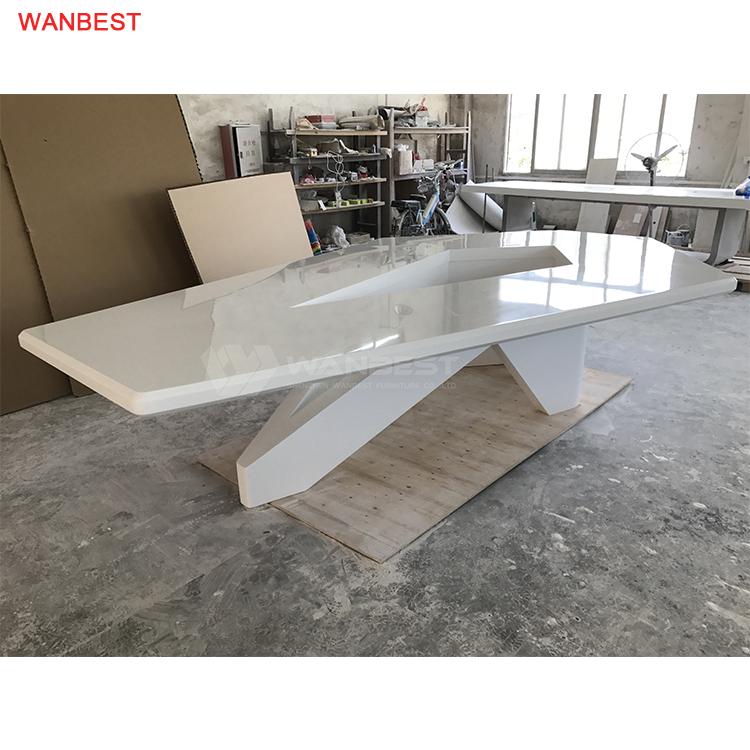 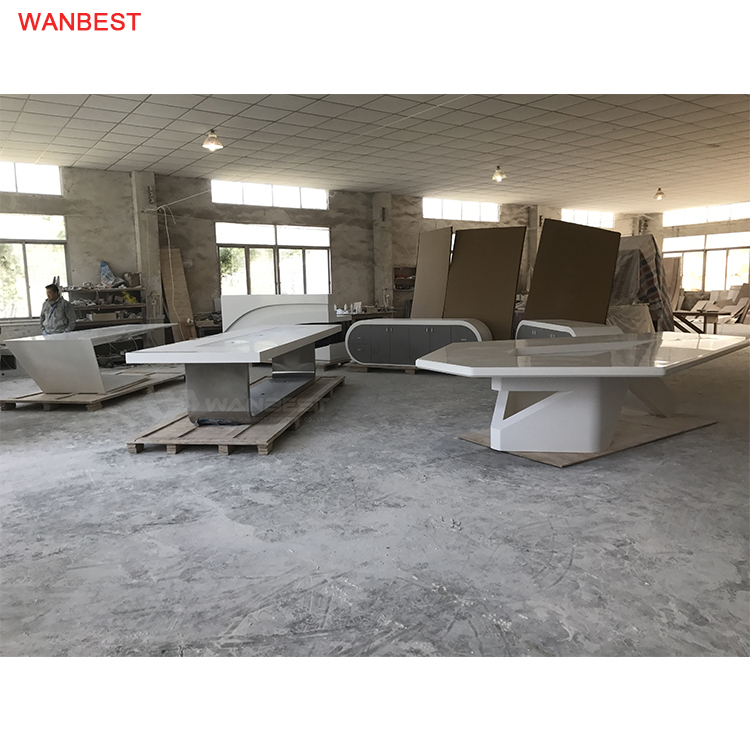 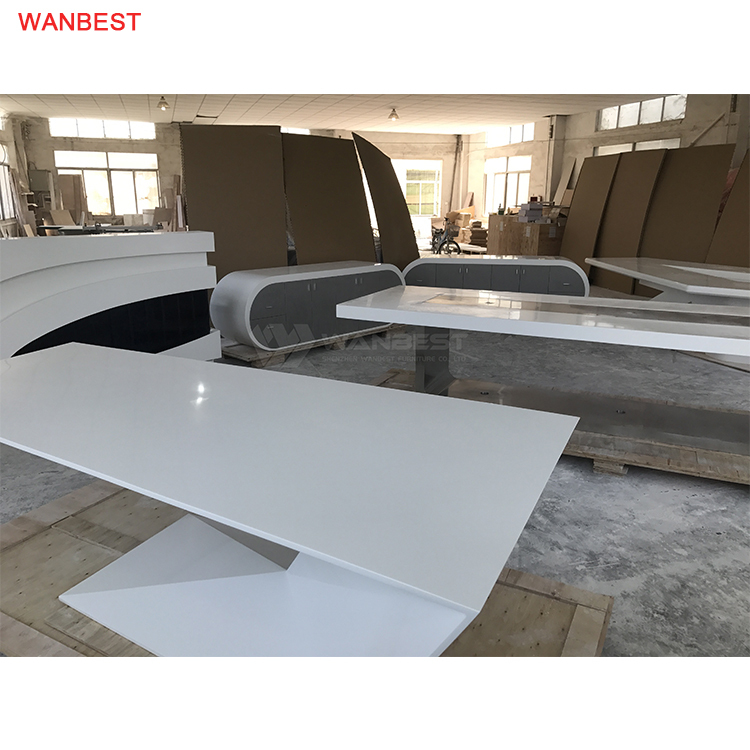 The body of office desk is made of solid surface and the canbinets is made of wood. 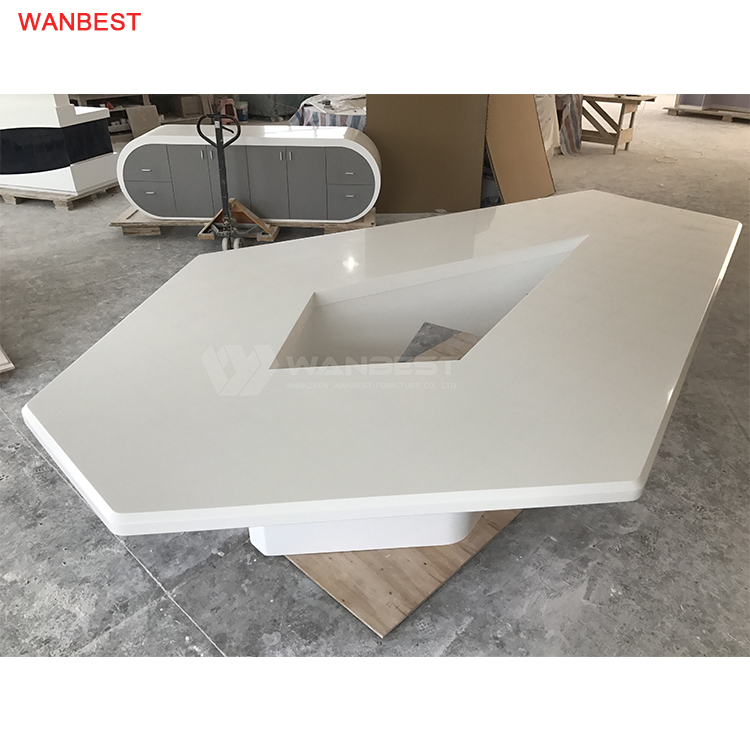 Hexagonal conference tables are also beautifully designed. 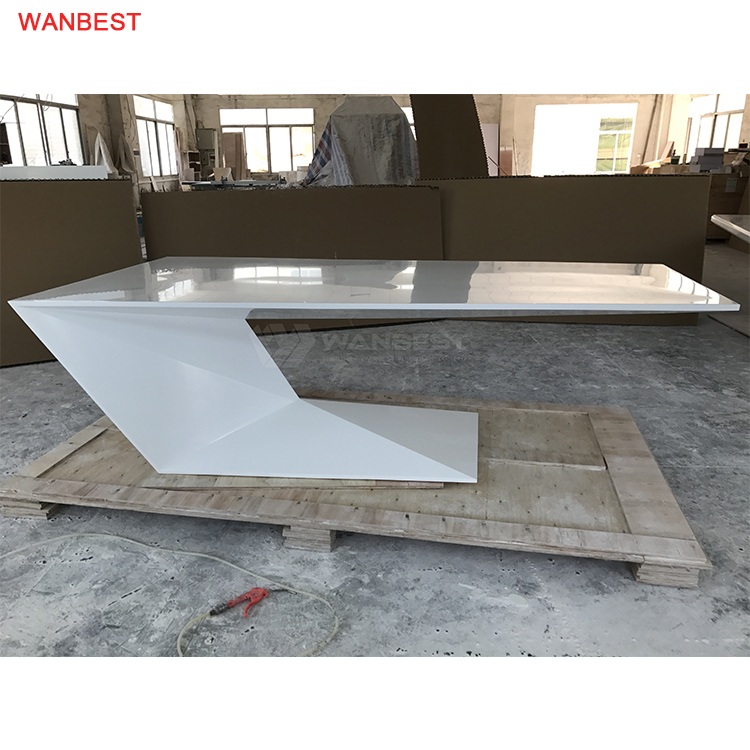 Table legs are made of artificial stone with triangular design and are very firm.